Hercules, located at the entrance of Northshore Hamilton’s Portside Wharf. The 2,963 square metre site sits prominently at the entrance of the wharfs residential and retail precinct, offering 228 residential apartments across 17 levels. Hercules will comprise of 32 one-bedroom apartments, 56 one bedroom plus study apartments, 56 one bedroom plus multi-purpose room apartments and 84 two bedroom, two bathroom apartments, starting from $369,000. The $120 million project will offer a north-facing podium level with a relaxing spa-style atmosphere. 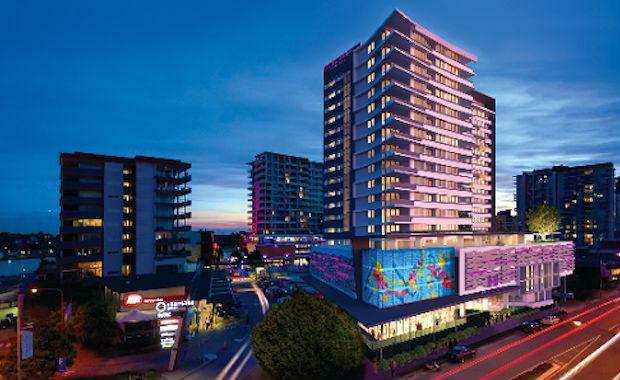 The continuation of the Northshore Hamilton development further increases what is Brisbane’s largest urban renewal precinct since Expo88. The precinct is seven times larger than Southbank, offering 2.5 kilometres of riverfront and is located 7 kilometres from the CBD.